SOULILI: Maxi skirt from "leftovers"
As I have mentioned before, I have been given a big bag of leftovers from different fashion companies. I have already made some scarfs of the leftovers, which you can see here. Some of the fabric pieces, are so big though, that I would never have called them leftovers myself. 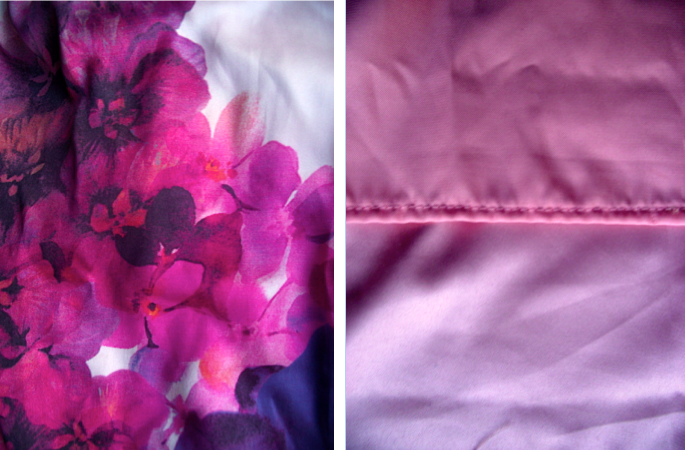 This included a beautiful silk fabric, which I thought would be perfect for a simple maxi skirt. And since you'll need a LOT of fabric to make a maxi skirt, that is wide enough so it doesn't prevent you from walking properly, I decided to make a split in the middle.